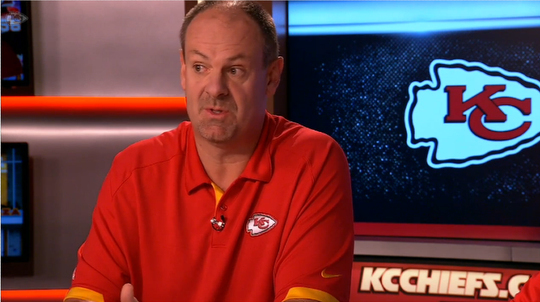 The Kansas City Chiefs debuted a new set this past week for its online and television productions. 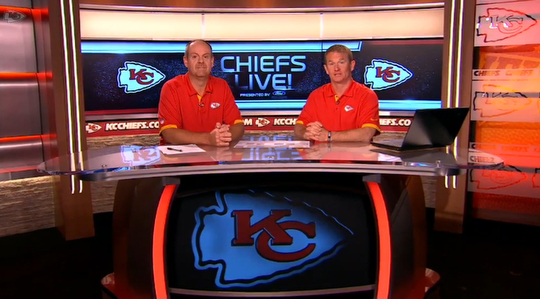 The set, designed by FX Design Group, has a modern manly feel matching the shows graphics and the Chiefs colors. 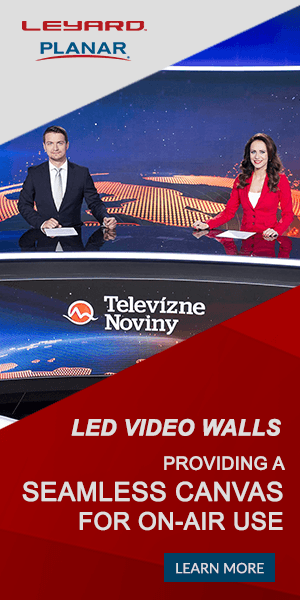 Camera center, a 1×3 monitor array features the show branding and logos. The set includes metal elements, backlit sections and etched KC Chiefs logos.